Whether or not he thinks there's room for more rideshare drivers. The positives and negatives of being a driver. Tricks to increase profits as a driver. The kind of car you'll need. 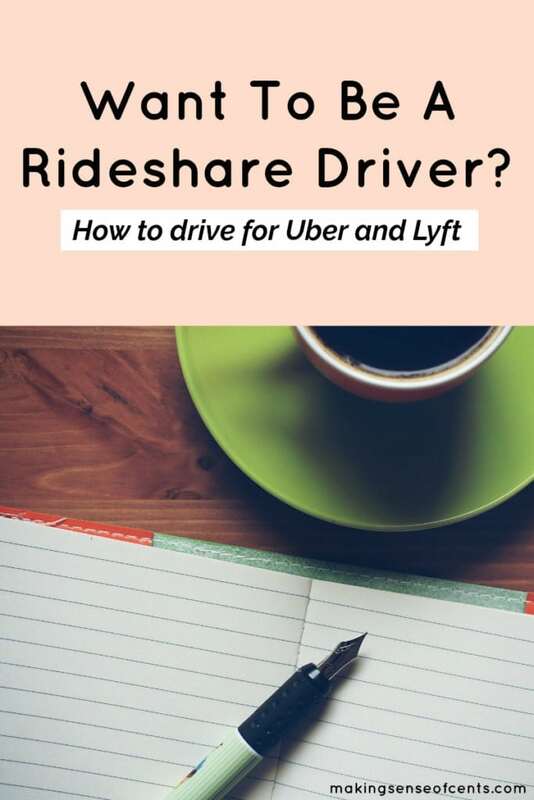 I asked you, my readers, what questions I should ask him, so below are your questions (and some of mine) about becoming a rideshare driver. Make sure you're following me on Facebook so you have the opportunity to submit your own questions for the next interview. Note: You can become a driver for Uber by clicking here. 1. Please give us a background on yourself and this side hustle. What makes me the expert? Well, I wrote the book on rideshare 😉 But, in all seriousness, I started rideshare driving with Uber and Lyft back in 2014 (which is a long time ago in ridesharing years!) and, shortly thereafter, started the blog The Rideshare Guy. I've been writing and driving ever since then, and I've talked to thousands of drivers, plus people in the rideshare industry. I think people really gravitate to RSG because I try to be unbiased, objective, and I really am running RSG to help drivers. I'm a driver with a lot of the same questions they have, so I know what questions to ask and how to get that out to drivers in a relatable way. I started it because it seemed like an interesting industry and I wanted to learn more about it. I've always been the type to try new things that I'm interested in, and if there's a financial component, even better! I love getting paid for things I would have done anyways. 2. What exactly is Uber and Lyft? Can you explain this more for those who have no idea? Basically, Uber and Lyft are companies that enable people with cars (drivers) the ability to make money on their own schedule by driving other people (passengers) around. This is enabled through an app on both the drivers' and passengers' phones. Passengers open the app, “request a ride” to go wherever they need to go (ex: the airport) and a driver gets a “ping” on their app, which shows them where the rider is. Drivers are paid once the trip is completed, and drivers can log in and out whenever they want, so many drivers drive when they're commuting to work, or after they've dropped the kids off, etc. 3. How much can a driver expect to make? I wouldn't necessarily encourage people to become an Uber driving partner/Lyft full time, as it puts a lot of miles and wear/tear on your car, but for part-time or a side hustle, I think it's a great gig. 4. How does a driver get paid? Check? PayPal? Something else? Drivers are paid by pay period (so for Uber, pay periods begin on Monday and end the following Monday). Drivers can log in to their pay statements on the app to verify they're being paid correctly, then earnings are deposited via direct deposit in to drivers' bank accounts. Drivers do have to pay taxes on their income 🙂 But, you can also get paid instantly with Uber and Lyft's Instant Pay feature, which allows you to cash out your earnings as often as you'd like. 5. Do you think there's still room for more drivers? How many drivers are there currently? We estimated around a little less than 1.3 million Uber drivers in the US, although about one quarter to one half quit after one year, so it's hard to be 100% accurate. I think there is room for more drivers, particularly in big cities like LA, San Francisco, etc. and in cities where Uber/Lyft are just getting started. 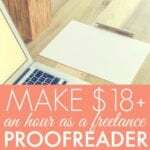 There are some saturation points, especially in the summer when a lot of college students are off and are casually driving for Uber/Lyft, but overall, I think if you remember this is a part-time/side hustle, it could be worth it to try. 6. Should/could a person sign up for both Uber and Lyft? Or, does a person need to choose just one? A person could and should sign up for both Uber and Lyft! Passengers typically have a “favorite” app (although it usually just comes down to price), but I believe all drivers should drive for both Uber and Lyft if they can. Sometimes things are slow on just the Uber app, so if you're able to leverage Lyft too, that means you'll get more requests and earn more money. 7. What are the positives and negatives of being a driver? There are a lot of positives I find about driving, but just to name a few: meeting interesting people, working whenever I want, and seeing a correlation between how hard I work and how much money I make. One thing I’ve found about drivers in general is that many of us have an entrepreneurial spirit in common, and being an Uber driver is just like running your own business. You have to worry about diversifying your income and things like expenses and taxes just as much as what your competition is doing. The negatives can be things out of your control, like driver pay or a rude passenger (or one who vomits in your car, that can be a big negative). But in general, most of your passengers will never puke (I've never had a puker in over four years of driving!) and many will be interesting (or quiet, which is fine!) people. 8. 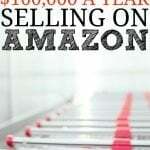 Are there tricks to increase profits as a driver? Subscribe to TheRideshareGuy.com email list 🙂 Seriously, we cover a ton of new ways for drivers to increase income – we have a whole section on the site called Driving Strategies that's almost exclusively for showing drivers how to increase their income, like taking advantages of bonuses, holiday driving tips, new tools or apps to help drivers while on the road, and so much more. We always cover the newest app updates and policy changes, too, so drivers always know what's going on and how it affects their bottom line. 9. What are common expenses? Gas, insurance, taxes – those are the big ones. Other things, like car washes and cleaning supplies, although once you buy most cleaning supplies, they can last you a while. Wear and tear and vehicle maintenance can be pricey – regular drivers will put on roughly 1,000 miles per week on their cars! 10. Do I need special car insurance? 11. Will my current car be okay to drive? Or, do I need something specific? In general, your car has to be 2002 or newer, but there are exceptions depending on the city. You'll also need a four door vehicle with working seatbelts. You're also more likely to get tips if your car is in good shape, heat/air conditioning work, and your car is clean. 12. What's the craziest/funniest driver story you have experienced? There are a lot of stories to choose from, but one of my favorite rides to this day was a pick-up in Los Angeles of a very elderly gentleman. His nephew had installed and setup the Uber app on his phone, and this was his first ride ever, but he managed to request a car and got me. He was pushing 80, yet very active, and we had an awesome 45 minute ride where we talked all about his life, why he was out in LA, and how Uber was already changing the way he could get around the city. It was really inspiring to hear how he planned on using Uber going forward to meet friends he hadn’t seen in a while and to get around the city. 13. Lastly, are there any other tips that you have for someone who wants to become a driver? Are you interested in becoming an Uber or Lyft driver? Great read! I’ve always been interested in ride sharing, but didn’t know all of the details. 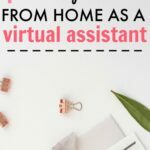 This is really helpful for anyone looking to get into the ride share side hustle, or to just understand how it all works! This is a great in-depth look at the ride share world. 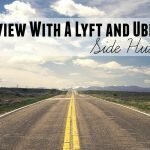 Many blogs just throw “drive for Uber” on a side hustle idea post; I appreciate how much detail and context is in this one! I’ve heard so much about Uber and Lyft, and even been a passenger on a few occasions. This was a great interview and I plan on using the Uber App I have on my phone to also get around. Thanks for having me Michelle! Happy to answer any q’s anyone may have. 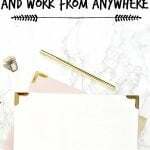 That sounds like the ideal kind of side hustle whereas you can work on a 2nd side hustle such as affiliate marketing and blogging by either having a laptop with you in the car creating content on it or creating content for your blog on your smartphone using Google Docs. 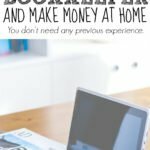 Working 2 side hustles doubles anyone’s chances of earning stable and potential “side hustle millionaire” income. I’ve considered delivering food for uber using my bicycle but they don’t allow it where I live. They only allow it in certain areas. Why is that? This was super interesting. I use Uber/Lyft frequently and am still fascinated by how this whole industry has evolved to the point where they have their own sections at the airport. I kind of wish I could drive for extra money some day if I chose to, but I’m horrible with directions (even gps) so I better not. What about if you use the rideshares car? I was researching about driving for Lyft using Lyfts car and so far I’ve learned that the rental fee is about $200 a month, and they offer bonuses based on the number of hours you drive and how many of those hours are during peak times (ie. rush hour). You have to be at least 25 to sign up, but insurance is included and you get to use the car for personal use as well. I wonder if you can pick which car you want to use or if it’s automatically assigned to you. This is very interesting info! Thanks for sharing Michelle. I’ve heard and ride Uber but I have no idea about the insurance. Before, I even consider Uber to be my side hustle, but some things happened and it didn’t push through. Let’s see if things will change this time and if it is meant to be.